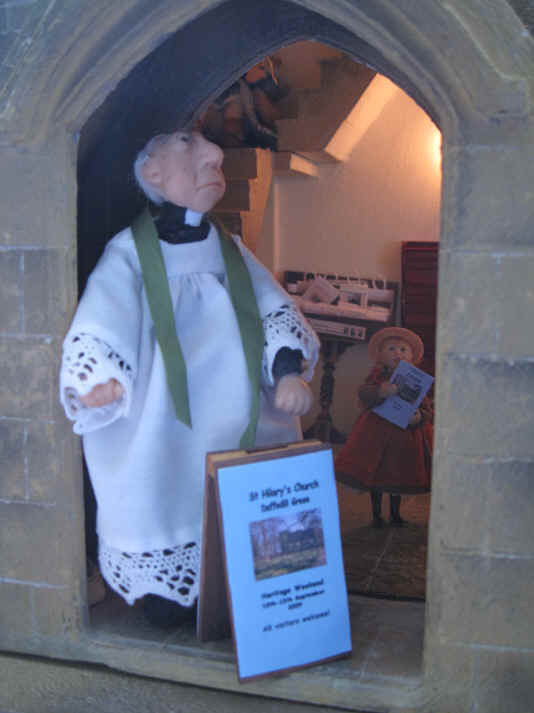 The vicar thought that last year's Heritage Weekend event went so well in St. Hilary's that he wants the church to be involved in this national project again this year! The vicar has made this lovely poster to put on the church billboard so that everyone knows the church is open and that they are welcome to come in and look around! Adele is in the background waiting for the first visitors. 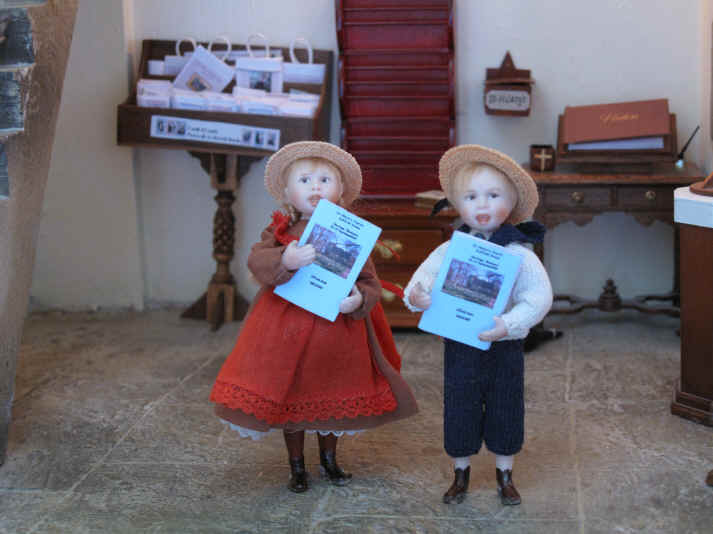 Adele and Tom enjoyed giving out the special church guides for the Heritage Weekend last year so they were very keen to do it again. 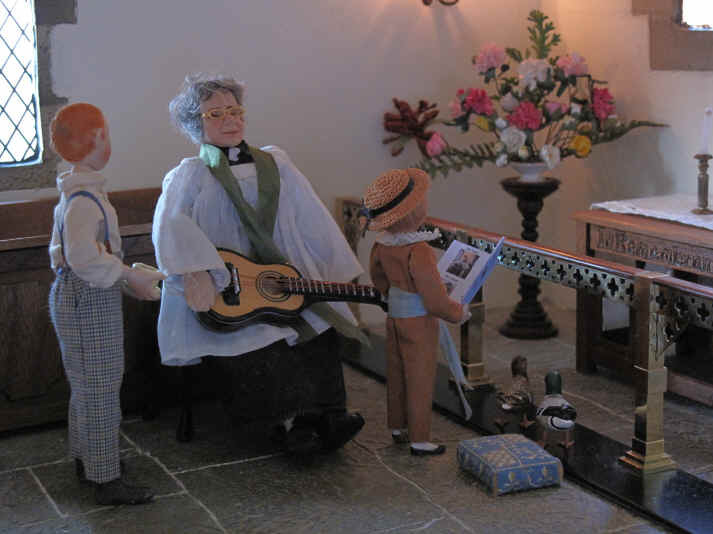 Of course the vicar is very happy for them to do it again this year too. Rev Ken has brought his guitar along to provide some lovely quiet classical guitar music whilst visitors look around the church. Ambrose is serving the teas and coffees today so he has made a cup of tea for Rev Ken as he has been playing for quite a long time now. 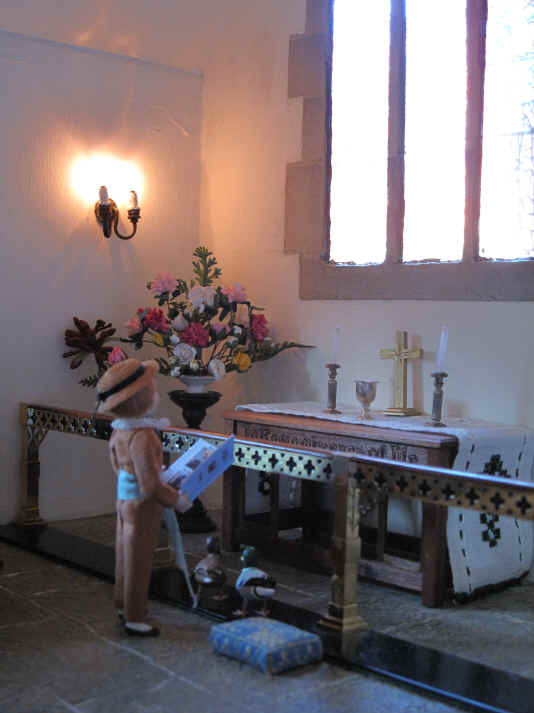 Esme and Ernest are taking a peek at the flowers in the sanctuary and Ben is reading the church guide book. Ben just can't resist standing and watching the sun come through the west window.........it makes the altar and sanctuary with the flowers look lovely. 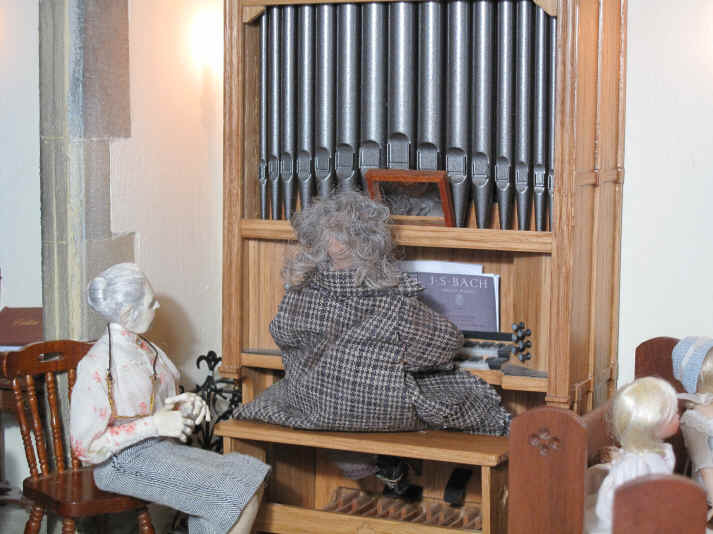 Goodness me.....Homer is really enjoying sitting at the organ and checking Miss Enid's music out!